Both poetry and translation are very often referred to be as an art. So, the task of a translator is to make an art from art keeping the aesthetic value of the work. There are numerous methods to translate texts, but not all of them are suitable to use in poetry translation. Vocabulary and grammar are different in every language, so a translator must take account of whether a sentiment of a poem can be translated into another language. TRANSLIT’s translators will have a literary background related to your poem and will preserve the mood and feelings the author is trying to convey. Sometimes, as there are no exact word equivalents between two languages and word-to-word translation is not possible at all. We will ensure that your poem sounds natural and not like an interpretation of a foreign work. If you want to share your poetry with others – language shouldn’t be a barrier. 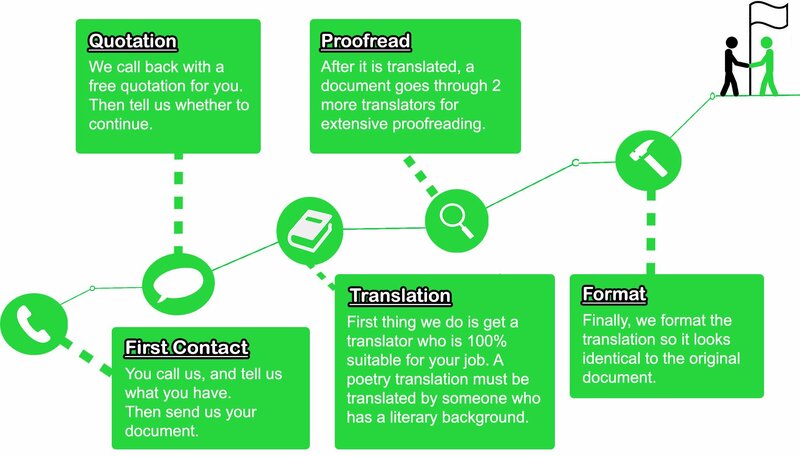 TRANSLIT’s team is fully competent to assist you with poetry translation. As a company, we currently cooperate with almost 200 translators and interpreters from all over the world thereby assuring translation into over 70 languages at a native level.